What Goes with Floor Mats? When the going gets tough, the tough get Nifty. 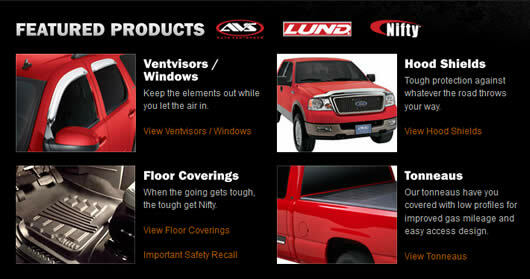 Lund International's Nifty brand is your source for premium floor protection and carpet replacements that look great - and keep your vehicle looking great - even under the toughest conditions. From foot wells to trunks, from carpets to molded thermoplastics, Nifty floor products have you covered. And ATD of Charlottesville has Lund products for you. If you are looking for something we don't have in stock, we can get anything they make. Just let us know what you want and we will take care of you.